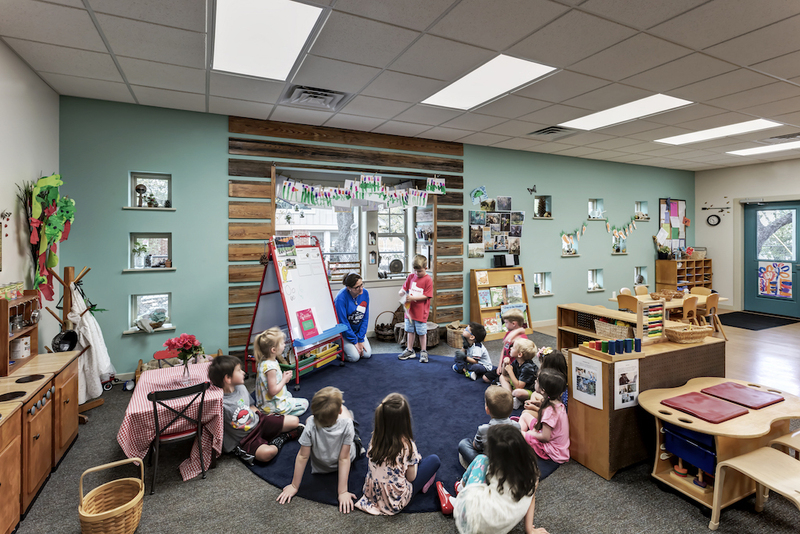 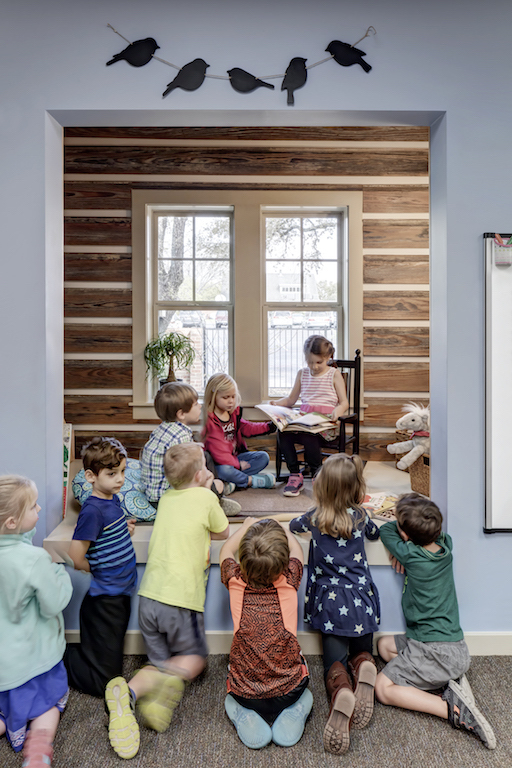 Confident in our work and relationship after the successful restoration of St Thomas Episcopal Church’s 1938 chapel, St Thomas Early Learning Center (STELC) approached The Arkitex Studio for help in designing a new classroom building when they outgrew their existing space. 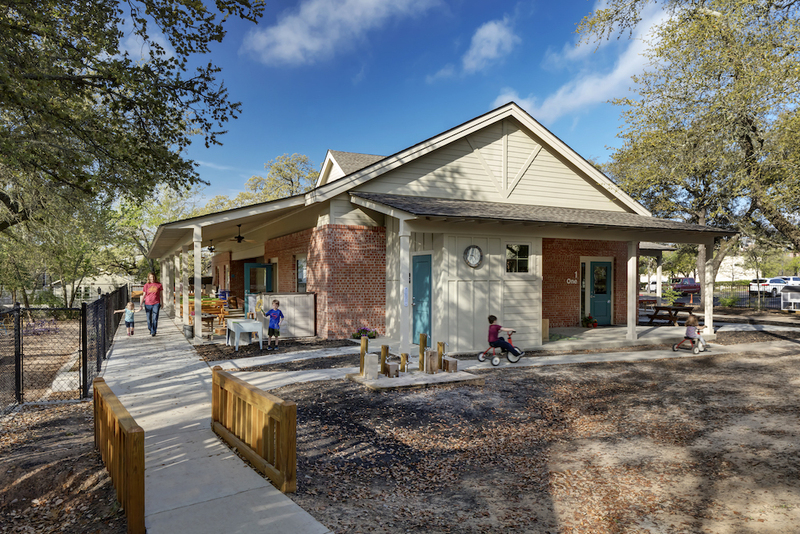 The initial phase involved conceptual and schematic design of a two-story structure to contain three classrooms, office space, and a community meeting room as well as the design of a new playground. 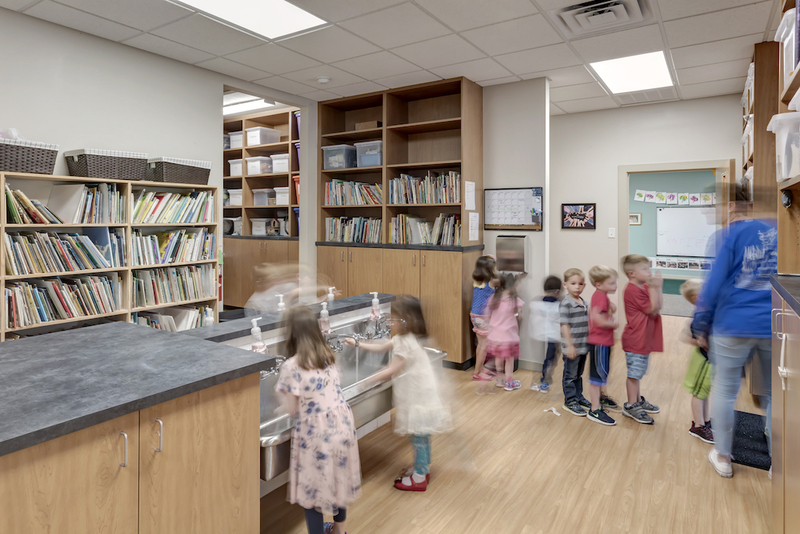 The Arkitex Studio produced renderings of these designs for use in the STELC’s capital campaign materials and provided support to the building committee during their fundraising efforts. 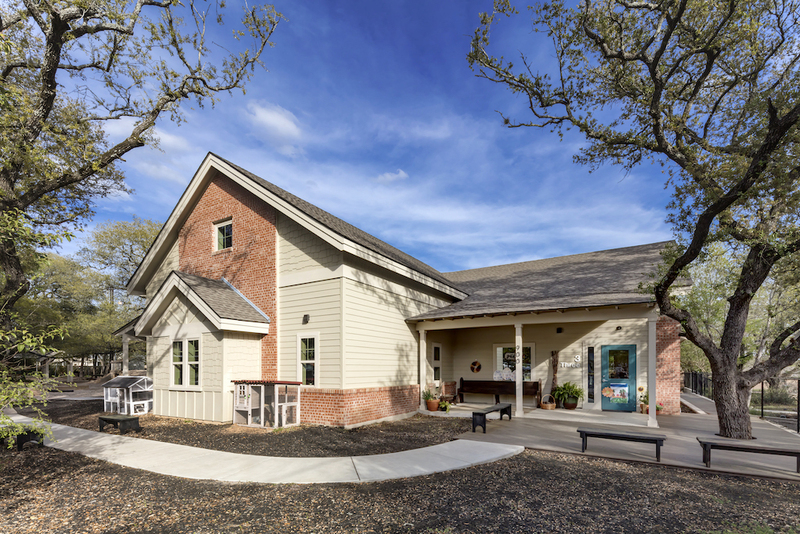 Upon completion of the campaign, STELC engaged the Arkitex Studio to rework and complete the design for implementation. 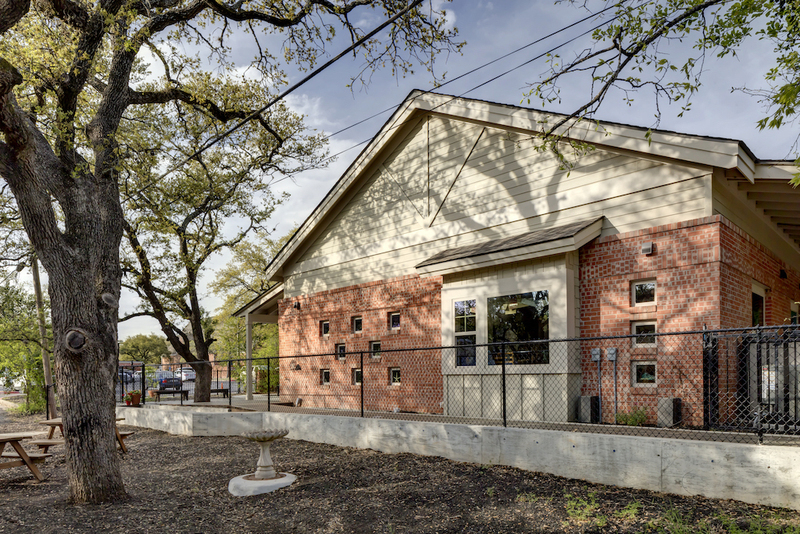 This resulted in a phased project which would allow the school to continue operating over the year of construction. 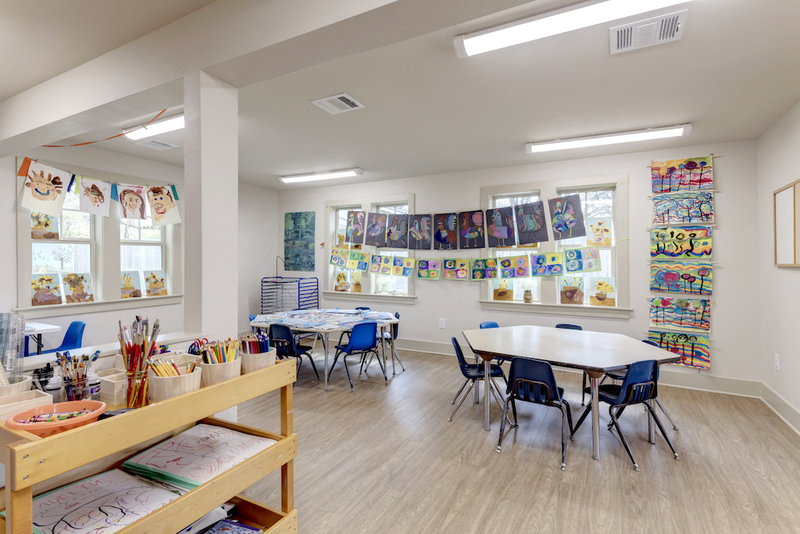 Phase 1 included the conversion of an existing house into a temporary classroom building for two classes, with special attention to preparing the building for later conversion into an office building with minimal undoing of work. 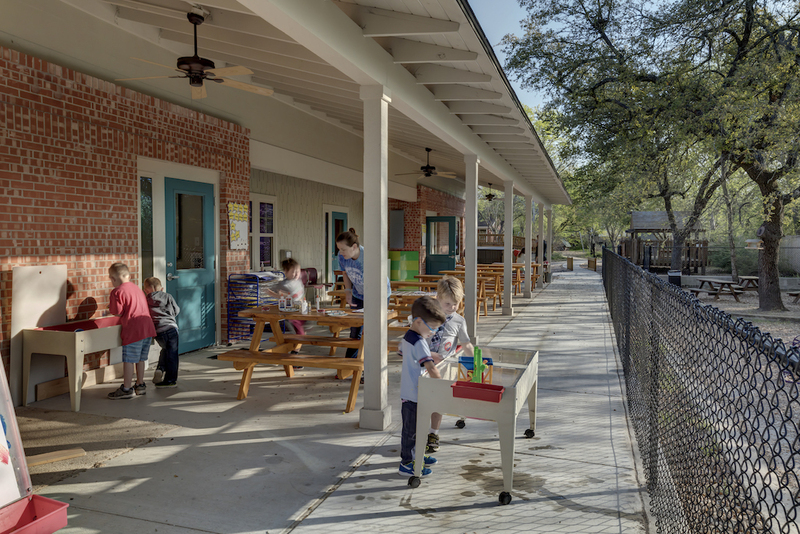 Construction of a new single-story, 3 classroom building (Ross Building), detention pond, and entry pavilion for the school grounds happened in Phase 2, along with first stage of reworking the existing outdoor classroom to optimize interaction between it and the new building. 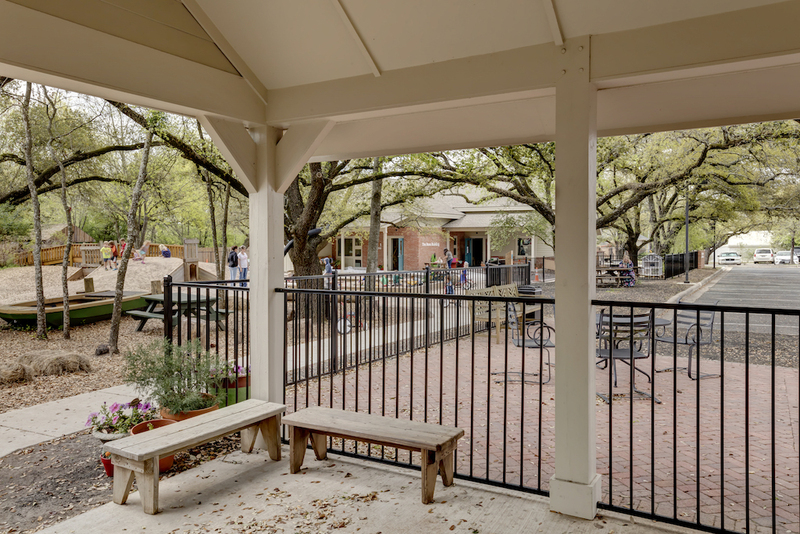 Phase 3 saw the completion of the outdoor classroom’s trike trail, conversion of the temporary classroom building into the school’s office suite (Red Brick House/STELC Offices), and renovation of a garage-turned-apartment into a new art classroom (Art Cottage).